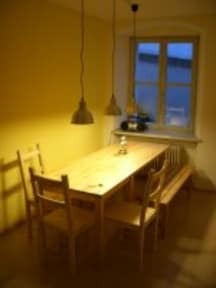 Brook Lane Hostel Regensburg i Regensburg, Tyskland: Reservér nu! This old town centre is known for it's medieval and romantic flair throughout Europe. Since the 13. July 2006 is the old town centre of Regensburg an UNESCO- word heritage. Whether you want to spend an exciting night with friends, strangers, your partner or your colleges in the medieval centre of the old town and your are looking for a cheap accommodation, come to us!